This recipe is handed down from my late father-in-law. This was how he cooked crabs - with thick cucumber slices. I have eaten plenty of sweet and sour chilli crabs but never came across one with cucumber slices until I married SK and sampled my father-in-law's special sweet and sour crabs! 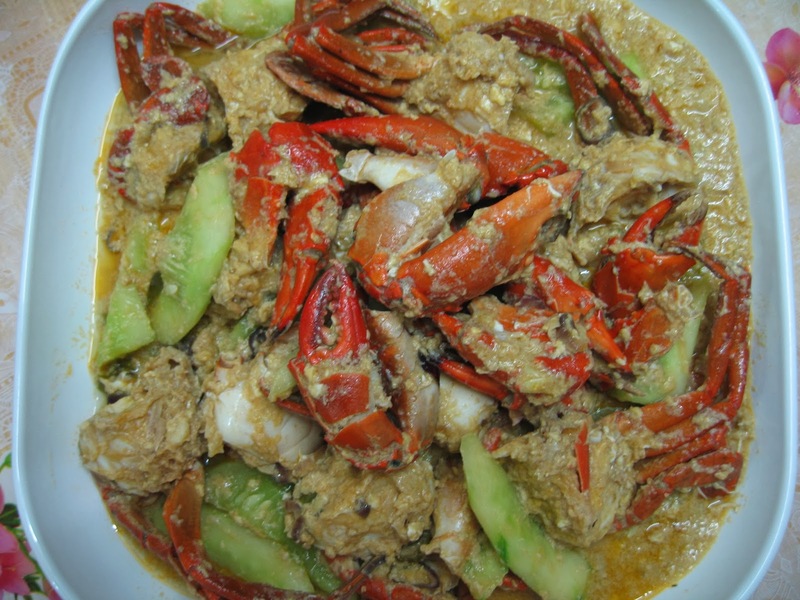 It was unique and rather refreshing to have cucumber among the crabs pieces, smothered with sweet and sour gravy and beaten eggs. Yes, it was very refreshing to bite into these thick cucumber slices. Not to mention the fresh and succulent crabs! This is definitely finger-licking good! Place all the sauce ingredients in a bowl and mix evenly. Set aside. 1. Heat 3 tbsp of oil in wok using medium heat. 2. Add chopped shallots, garlic and chilli padi and stir-fry until fragrant and garlic has turned slightly brown. 3. Pour in sauce ingredients and fry for 1 minute. 4. 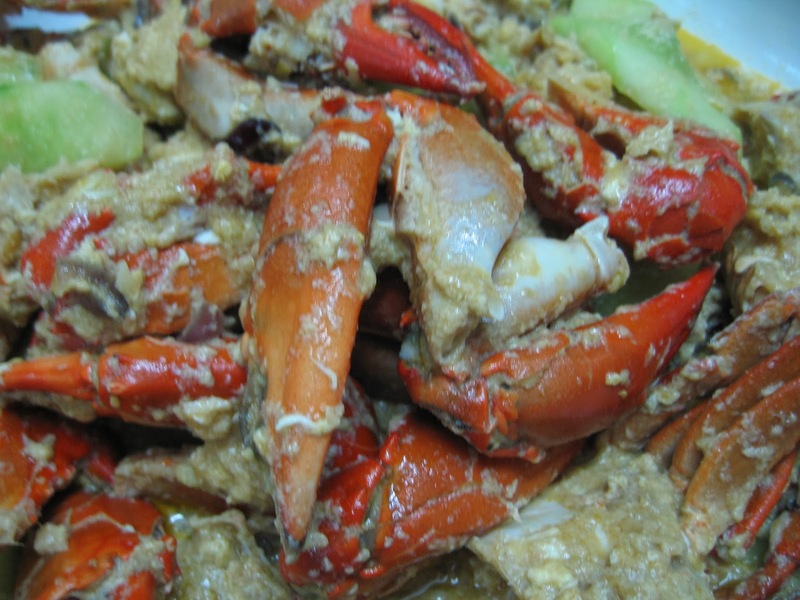 Add crab and stir-fry and ensure sauce ingredients coat the crab pieces thoroughly. 5. Add cucumber slices and stir-fry to mix well. 7. Add in beaten eggs and stir thoroughly. Let it boil for a further 3 minutes. 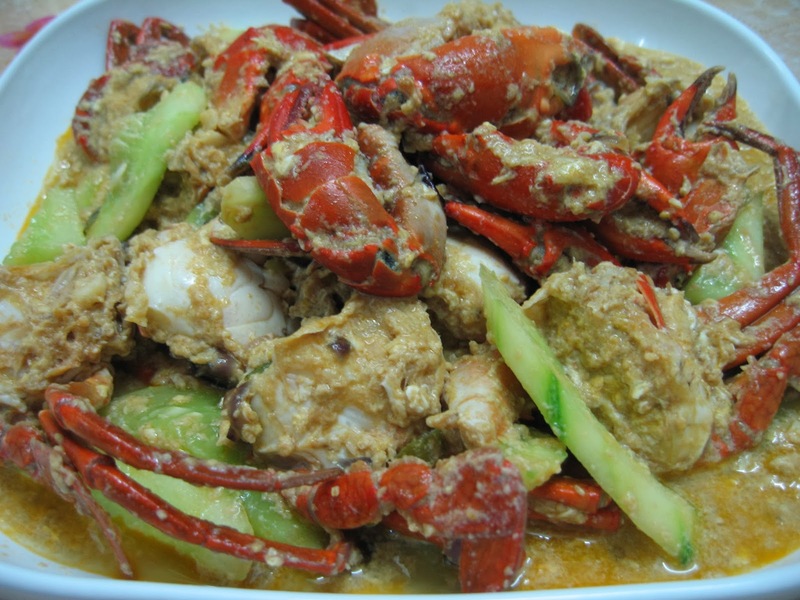 hi doris, i cook crabs quite often ..sweet and sour too but nvr knew about the cucumbers..thx for the idea! your dish certainly looks good !